Challengers were given 2 yards of Boutique Sprinkles ribbon to create a hairbow. Challengers can not tell which bow is theirs. We need you "fans" to vote, simple click the "like" option, on your favorites. 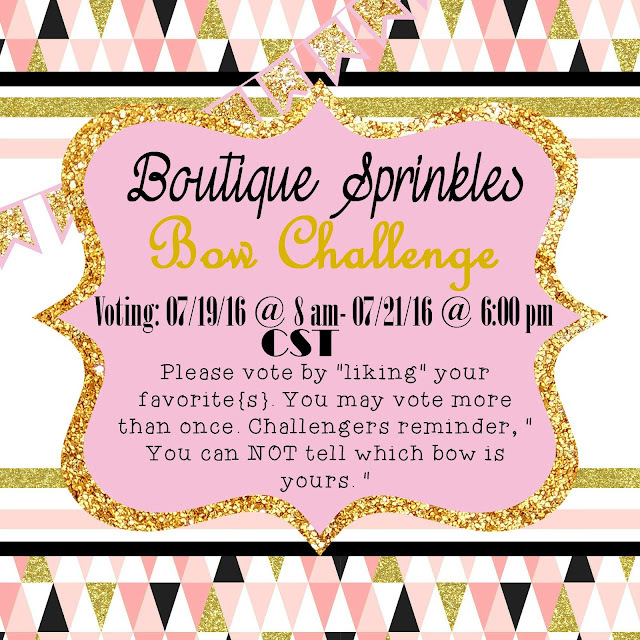 Voting ends on July 21st at 6:00 pm CST!